Time for a girls-only trip? No problem. Wilmington, Delaware, the gateway to the Brandywine Valley, has the perfect recipe for a relaxing girlfriend getaway this spring: gardens, mansions, fresh air, and of course, tax-free shopping! 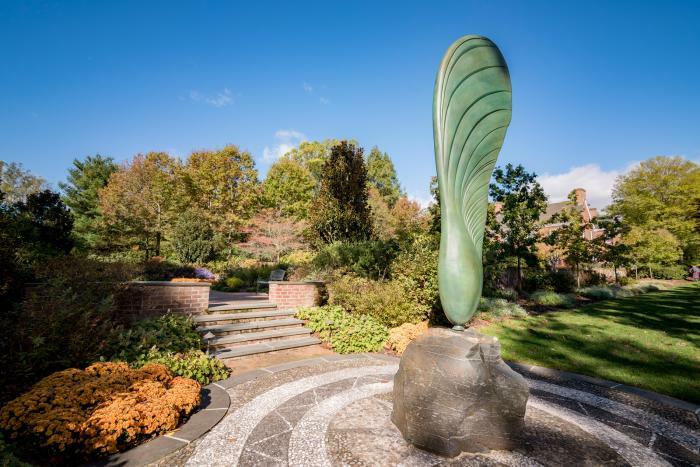 So, grab your gal pals and explore these eight can’t-miss destinations in Wilmington and the Brandywine Valley–many of which can be visited at discounted prices by purchasing a Brandywine Treasure Trail Passport. This majestic 1,077-acre public garden makes visitors feel as if they&apos;ve ventured into a fairy tale. Towering trees, radiant flowers, meadow gardens, fountains, and art sculptures entertain nature enthusiasts with 11,000 different plant species on site. 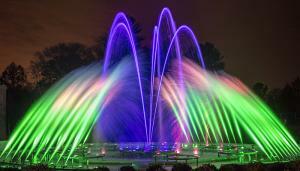 Come late spring, Longwood Gardens hosts its Summer of Spectacle display, featuring its spectacular and newly renovated Main Fountain Garden. Inspired by the grand fountains of Europe, this 5-acre masterpiece was created by Pierre S. du Pont in the early 20th century. Modeled after Versailles, Alfred I. du Pont built this house as a gift for his second wife, Alicia, at the turn of the 20th century. Nemours Estate is a masterpiece of design with its mansion, fountains, artwork, gilded sculpture, and the largest formal French garden in North America. This botanical garden is famous for its rural pastures that are home to a wealth of woodland creatures like squirrels, chipmunks, and butterflies, giving it a true enchanted forest feeling. Spend an afternoon hiking the untamed wilderness and possibly snap a shot of a doe peeking out from behind the trees at Mt. Cuba Center. Set on 235 acres along the Brandywine River, Hagley Museum and Library is a treat for nature lovers and history buffs alike. Hagley is home of the original DuPont Company gunpowder mill, workers village, and the Du Pont family&apos;s ancestral home in Delaware. 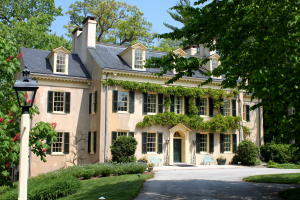 While strolling along the banks of the Brandywine, visitors can also tour the home, witness gunpowder demonstrations, and explore exhibits within the museum. Be sure not to miss Hagley’s Osage orange tree that was already more than 100 years old when the du Ponts arrived! 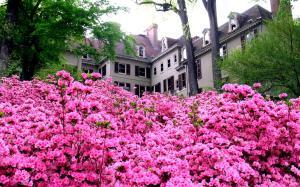 Winterthur&apos;s 1,000 acres encompass rolling hills, streams, meadows, and forests. Belonging to the prestigious antique collector Henry Francis du Pont, this mansion-turned-museum houses many of his prized possessions for the public to see. 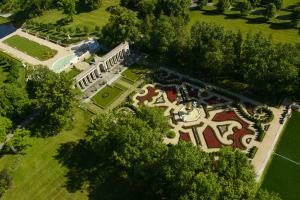 Outside, the extravagant naturalistic gardens and reflecting pool are all Instagram-worthy. Nestled in the heart of Wilmington, Hotel du Pont is as rich in history and tradition as it is in atmosphere. 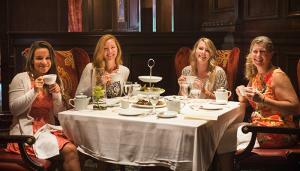 Stop by for afternoon tea and try their created blends of teas inspired by Longwood Gardens, Winterthur Estate, Nemours Mansion and Gardens, and other neighboring Brandywine Valley destinations. No visit to Delaware would be complete without the obligatory tax-free shopping trip! From fashionably upscale department stores to mom-and-pop corner stores, from our newly renovated malls to our thriving main streets, there is truly something for everyone. What’s a girlfriend getaway without a trip to the spa? Nestled in the heart of the Brandywine Valley, the Spa at Montchanin Village resonates with the life of simpler times while providing the amenities and comforts of the modern age. Every fixture was hand picked, every service custom designed to enhance your spa experience. Once you and your friends are relaxed and rejuvenated, head to the award-winning Krazy Kat&apos;s Restaurant located within the Village and indulge in their eclectic cuisine. Whether it&apos;s celebrating a milestone birthday or simply catching up with a group of old friends for a long weekend, Wilmington, Delaware is the place to do it. 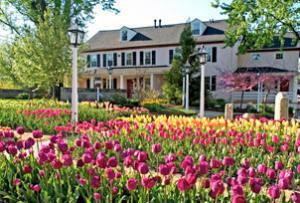 Purchase your Brandywine Treasure Trail Passport and plan your girlfriend getaway!